BMW, founded in 1916 and headquartered in Munich, Germany, is one of the most successful and profitable luxury car brands and among the top 20 multinational automotive companies in the world. 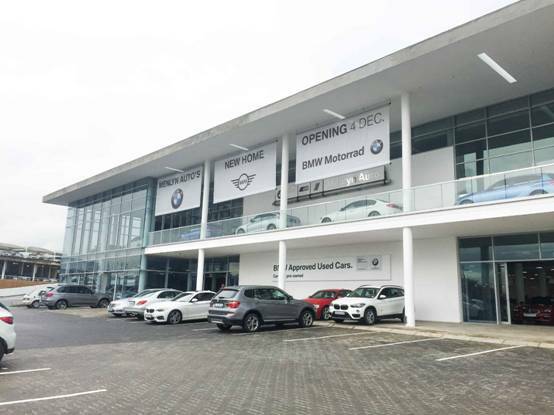 As one of the largest BMW dealers in South Africa, BMW Menlyn Auto had complex and increasing security requirements. 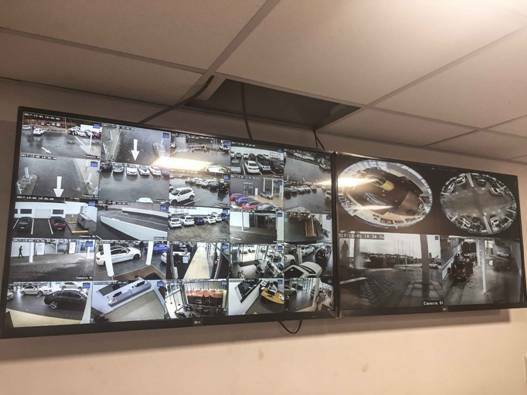 To meet those needs, Uniview delivered the complete video surveillance solution with more than 100 cameras covering the entire facility in order to prevent car theft. The system improved safety and visibility and reduced incidents of theft and other crimes. 1. Ultra265: Compared with high storage cost of 4MP and 4K high-resolution cameras, the storage cost of Ultra 265 solution is much lower, which could save up to 75% while still maintaining the same image quality. 2. Smart function: UNV cameras support various smart functions including face detection and intrusion detection. Face detection enables UNV to spot a target person and instantly send alarms to the management center integrated with blacklist/whitelist filtering. The intrusion detection function allows users to monitor and protect important and controlled areas around the facility. 3. 360°fisheye: UNV new 4k fisheye cameras provide 360°fisheye view and display ultra HD image in 12 MP high-resolution. The e-PTZ mode provides additional control to change angles and view areas more closely. The fisheye is additionally equipped with a built-in mic and audio also could be recorded in the system. 4. 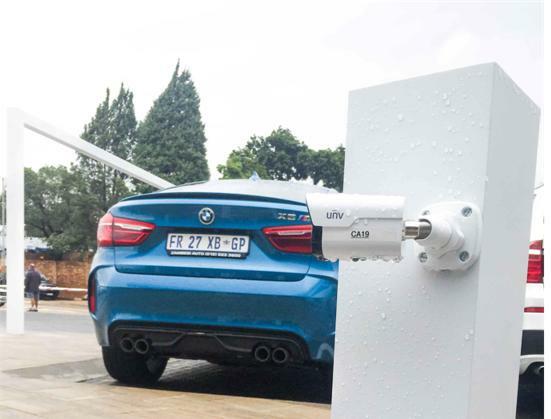 Strong decoding capability: The video surveillance solution applied in Menlyn used UNV NVR516 series which could support 2 decoding cards. This greatly strengthens the total decoding capability and enables UNV NVR516 series to reach 112ch @2MP. In this application, it was helpful in building a control room with multiple monitors.